Wonder of wonders another fine and smashing day. The Sports are famed for wet days and ‘one of my earliest recollections’ to quote the Dean, is retiring under the Nursery table to yell with mortification because it was a pouring wet day and I was not allowed to go up to the Sports. I was then aged five. Later went up fields and saw various people. For a time Grant’s and Ashburnham led for the Sports Cup owing to Graham’s great effort of 5 individual wins. Mrs Gow (ugh!) gave away the prizes. The King’s Scholars won the sports cup. 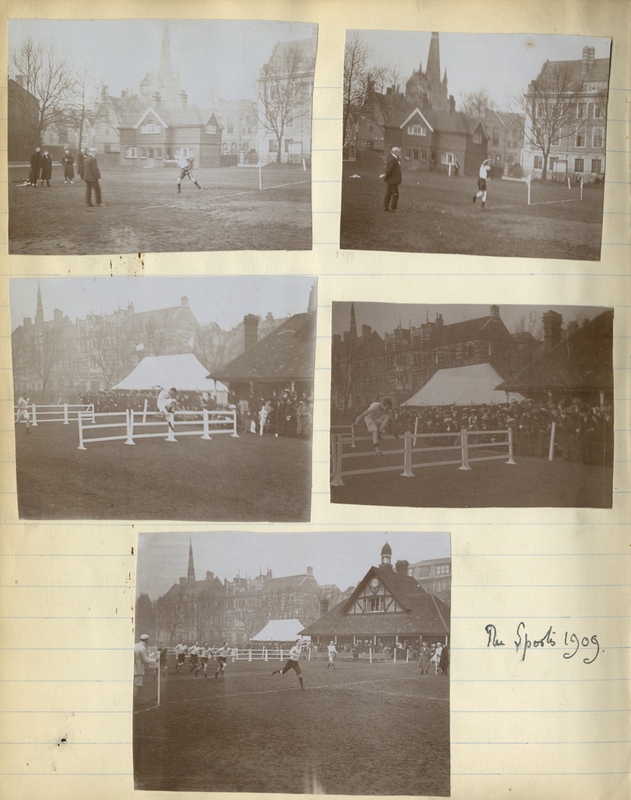 This entry was posted in Sport and tagged Ashburnham, Graham, Grant's, King's Scholars, Mrs Gow. Bookmark the permalink.